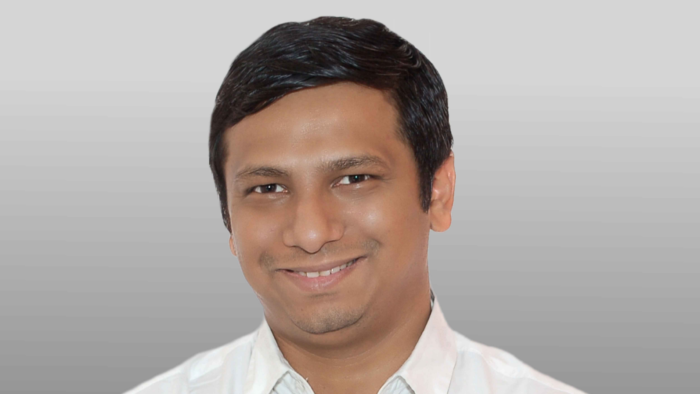 As a marketer who boasts both agency and client-side experience, Dhiren Amin (pictured), head of marketing for Kraft Heinz Southeast Asia, has built his career across varying markets from Indonesia, Singapore and India. His agency stints included working for the big network agencies such as Euro RSCG India, BBH and McCann Worldgroup, before taking on the role as global brand development manager for Unilever Asia, working on notable brands such as Vaseline. Not long after, he moved on to the marketing role at Kraft Heinz. In his current role, Amin is responsible for markets such as Indonesia, Thailand, Malaysia, Philippines, amongst others. He is also in charge of strategic thinking and execution on existing brands, new product development and brand equity management. Amin is also accountable for brand management – with influence over proposition, promotion, product, packaging and pricing. He speaks with Marketing Interactive about his experience in the Indonesian market, especially within the personal care category – now being based in the country. Marketing Interactive: What are some of the challenges you face as a marketer? Amin : The biggest challenge remains in creating a “constant differentiation” across all our brands. Irrespective of our position in the market, we need to ensure that consumers recognise the differentiated proposition we strive to offer across our ABC stable of Soy & Chili Sauces, RTD and canned foods. Another challenge is making financially responsible and consumer effective media choices. There are many, many media touch-points available today – digital, social and search are large ecosystems. TV has also proliferated beyond the 30-second ad. There are multitudes of innovative choices in outdoor, print, mobile and what have you. Crafting a sharp, targeted media plan requires a lot more choices today than ever before and getting that right is quite a challenge. Marketing Interactive: Any challenges which are specific to the Indonesia market? Amin : Indonesia’s vast spreads of islands pose not just a distribution challenge, but also a media distribution challenge. Creating localised media mixes beyond the top 10 cities is tough. The second is more of an opportunity – for a country with a love for food and an immense diversity in terms of food choices, identifying the right motivations to market food could allow brands to make a killing here. The challenge lies in identifying these potent insights and conversations around food and food culture. Marketing Interactive: How do you cut through the clutter in the competitive consumer goods space? We believe in doing two things well – consistency in proposition building and “acts versus ads”. Our platforms for soy centred on “Perasan Pertama” (made from the first squeeze), “Tantangan Sambal ABC” (The ABC Chili Challenge) for ABC Chili Sauce and “Cita Rasa ABC Spesialkan Ramadhan” are propositions that we are building consistently over the last 18 months. Additionally, our belief lies in creating acts, not ads. Acts such as “Tantangan Sambal ABC” are treated more like a game where consumers try our chilli sauce with different kinds of food and these acts form the content we use for amplification. It’s an approach seeped in consumer experience, not merely awareness. Marketing Interactive: Any marketing trends you are observing in your industry? Amin : Purpose-driven marketing – Although I am not sure if this is the blanket answer for brands when made out to be, this is because not all brands need to have a purpose. Some can have a more transactional or functional need they fulfil – which consumers desire. Purpose driven marketing is effective only when it comes from a business-driven objective. A great purpose needs to translate to great business. Marketing Interactive: What are some of the areas you are interested in and how do you see it impacting your business? We are particularly interested in any media that allow for creating consumer experiences. Social listening allows us to mine insights that help shape these experiences and new technologies such as AI are interesting in bringing these to life. But equally, there is a lot of innovation happening within experiential point-of-sale, really sharp mobile targeting, short format video content such as the six-second YouTube bumpers that are also of particular interest to us. Marketing Interactive: What about digital? How much are you investing into it? Amin : While we can’t give the exact number, spend on digital has grown significantly in the last two years. Digital and social allows for sharp targeting and when deployed with the right combination of search, social and video, while also deliver effective reach better than other channels. It is definitely a thrust medium for us in 2018, as it should be. Marketing Interactive: Challenges of going digital and ensuring a good customer experience? It’s not that much a challenge but rather a reality – there is no such thing as “organic” pull. Creating buzz on digital requires investments and brands need to pay heed to this, if they intend to use the medium well. The challenge for digital is cracking chat – it is the most widely used social tool but also one where brands have no role within private conversations. Cracking this would be the Holy Grail. Marketing Interactive: Any tips for brands and agencies looking to expand their presence in Indonesia? Amin : Have a relentless focus on talent and push for crafting mixes that go beyond the obvious. It is easy to fall into the trap of Indonesia being a rational country but that is a very broad generalisation. As part of the collaboration, a short video featuring Vivy's career and her advice for young girls in Malaysia on how to be a succ.. The latest international music act to have a performance cancelled in Malaysia was Ke$ha. Does it hurt the country’s reputation as..